Hidden on Babcock Street in Coolidge Corner in Brookline is one of my favorite restaurants to dine at in the Boston area: the Japanese restaurant, Shiki. I have been going to Shiki since it opened in 2007, and I have returned many times since. Shiki offers authentic Japanese cuisine (confirmed by my Japanese friends, and you will often find Japanese people dining in the restaurant). 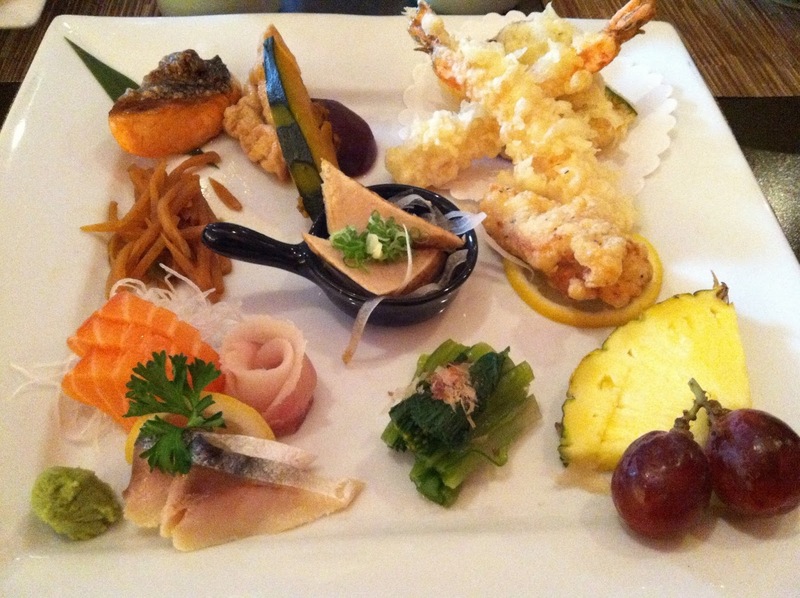 Shiki is a great place to go if you love seafood like I do. However, there are many non-seafood options if seafood is not your thing! Check out their menu. I typically order the Take Kaiseki lunch set. "A combination of sashimi, broiled fish, tempura, and cooked vegetables. Served with miso soup, salad, and rice (white or the day's mixed rice)." Although if I am particularly hungry, I sometimes order the Matsu Kaiseki lunch set instead. Mmmmm. "Combination of mini appetizers, sashimi, oshizushi (pressed sushi), mini chawanmushi (egg custard), broiled fish, and tempura. Served with salad and a small udon noodle soup." Shiki is open for lunch and dinner, six days a week (it is closed in-between meals, and closed on Mondays). For lunch, you can choose from a variety of lunch sets and sushi a la carte. Small plates are offered for dinner a la carte. I have been to Shiki for both lunch and dinner, although I typically go for lunch, because the prices are so reasonable. Whenever you go and whatever you order, though, is sure to be beautiful and delicious. 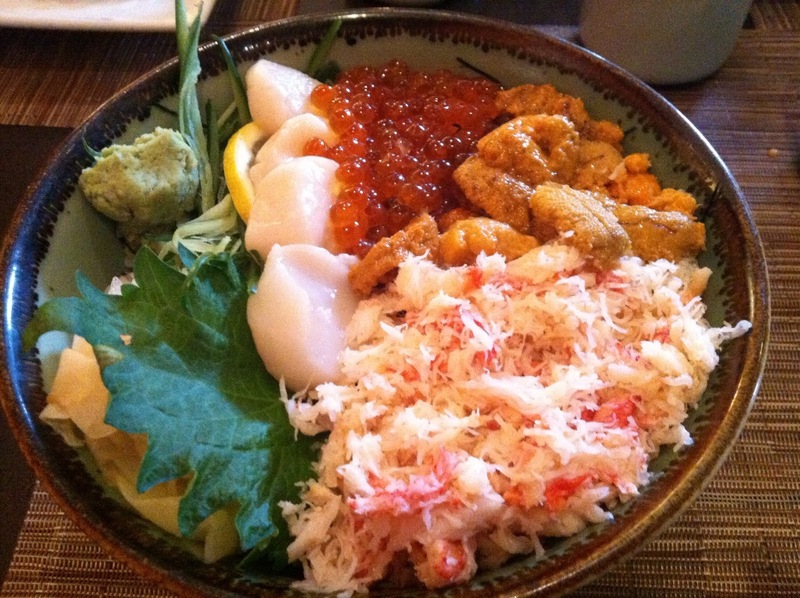 "Assortment of seafood - crab meat, salmon roe, scallop, and sea urchin [served over rice]. Served with miso soup and salad." 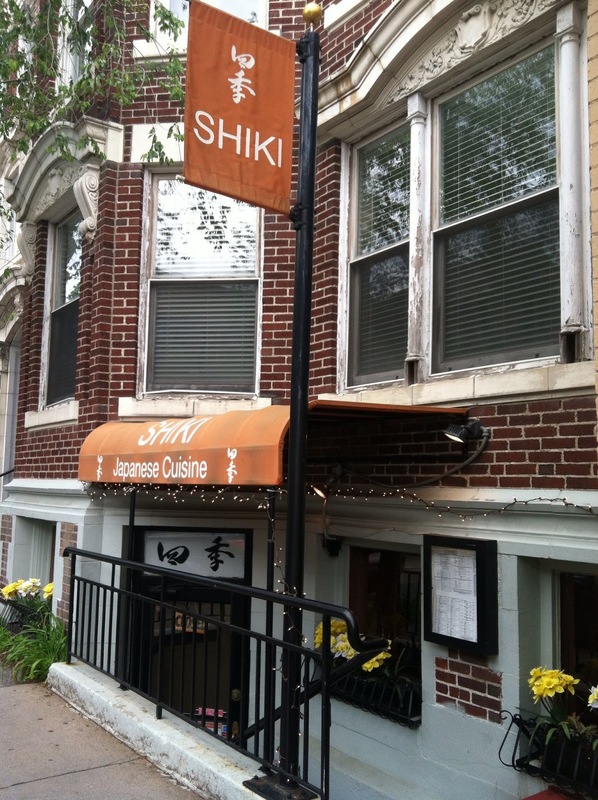 Shiki is located at 9 Babcock Street, Brookline, MA 02446. T: (617) 738-0200. Go to the website to take a look at their hours, their menu, and for more information. Visit today! You won't regret it.